... 1972 (40 years ago today), was the date affixed to Proclamation No. 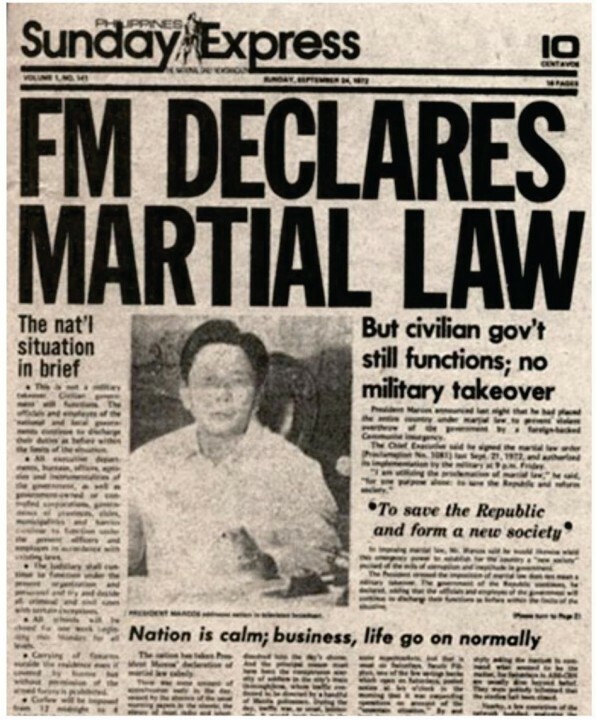 1081, by which President Ferdinand Marcos declared martial law in the Philippines. The decree would not be lifted until 1981. 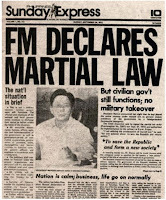 An account of the events leading to martial law may be found at here, the website of current government, led by President Benigno Aquino III, the son of Marcos' political opponent at the time. The father would be assassinated at the Manila airport in 1983.